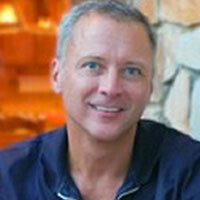 Tim Goodwin is the founder and owner of Watershed Cabins in Bryson City, NC. A decade after building his first cabin, Watershed has grown to manage almost 70 luxury log homes in the Smoky Mountains, and is the premiere source for vacation accommodations in the area. When not on site at his cabins, Tim can be found logged in remotely from his Atlanta residence or his favorite vacation spot, beachfront in Playa del Carmen, Mexico.